Currently the unicameral Queensland parliament has a maximum three-year term from the return of the writs and an election can be called at any time within that three-year period. The last election that installed a new government was an early election and held in the holiday period, which the sitting government reportedly thought would favour them. Even that was not enough to prevent a change of government. Premier Annastacia Palaszczuk has stated that four-year fixed terms will bring certainty and save tax payers money. The LNP opposition supports the change, while Katter's Australian Party will run a ‘no’ campaign. Why do they need a referendum to make this change? The Constitution Act Amendment Act 1890, section 2 provides for the duration of the Legislative Assembly. The Constitution Act Amendment Act 1890, section 2 is subject to the Constitution Act Amendment Act 1934, section 4 (Duration of Legislative Assembly not to be extended except in accordance with this section). See attachment 2 for a copy of these provisions. Attachment 2 is quite long, but a summary of it is that electoral terms cannot be extended beyond three years, but can be dissolved earlier and that the parliament cannot pass legislation to alter the electoral terms except if the Bill has been approved by the electors of the state. You can read the attachment at the bottom of this page. Do you approve of a Bill to extend the maximum term of future Parliaments from three to four years? This meant that the sitting government could still call an early election if the political situation suited them. 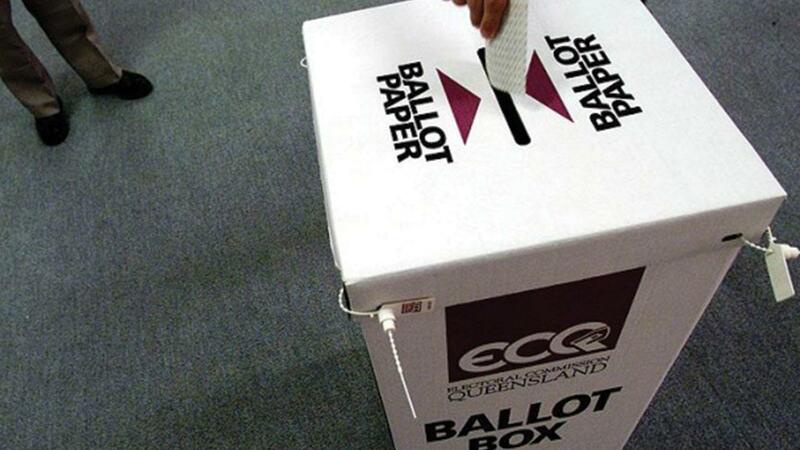 The new Bill that will be presented to the people of Queensland is asking the people to make a decision on fixed-four year terms, with elections to be held in October every four years. The changes would take place after the next election which is due in early 2018. Out of the seven referendums held in Queensland since 1899 only two have passed. One of those that passed was the referendum on federation, while two referendums on prohibition failed, along with a questions asking “Are you in favour of daylight savings”. Bipartisan support always helps the ‘yes’ case, and so does a simple question. It will be up to the people of Queensland. And if Queenslanders do support this change, Tasmania will be the only state left with flexible terms of parliament. Are you a Queenslander? Do you support this referendum? Why don’t you let us know in the comments section below? Read an article we published last year about fixed term parliaments - Are fixed term electoral periods best for democracy? Every Legislative Assembly hereafter to be summoned and chosen shall continue for 3 years from the day appointed for the return of the writs for choosing the same, and no longer; subject nevertheless to be sooner dissolved by the Governor. The provisions of section two of “The Constitution Act Amendment Act of 1890” (referred to in the preamble to this Act) shall not be amended in the direction of extending the period of three years, which, as provided by the said section two, is the period for which any Legislative Assembly, now or hereafter summoned and chosen, shall continue from the day appointed for the return of the writs for choosing the same and no longer (subject, nevertheless, to be sooner dissolved by the Governor), nor shall any other Act or law relating to the Constitution be passed extending such period of three years as aforesaid, except in the manner provided by this section. A Bill for any purpose within subsection (1) of this section shall not be presented to the Governor for the reservation thereof for the signification of His Majesty’s pleasure, or for the Governor’s Assent, or be in any other way assented to, until the Bill has been approved by the electors in accordance with this section. On a day not sooner than two months after the passage of the Bill through the Legislative Assembly, the question for the approval or otherwise of the Bill shall be submitted to the electors qualified to vote for the election of members of the Legislative Assembly according to the provisions of “The Elections Acts, 1915 to 1932,” or any Act amending the same or in substitution therefor. Such day shall be appointed by the Governor in Council. When the Bill is submitted to the electors the vote shall be taken in such manner as the Legislature prescribes. If a majority of the electors voting approve the Bill, it shall be presented to the Governor for the reservation thereof for the signification of His Majesty’s pleasure. The provisions of this section shall extend to any Bill for the repeal or amendment of this section.